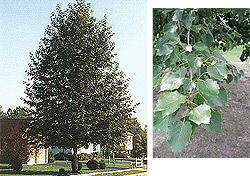 Chinese Chestnut - Castanea mollissima:: 40 to 60’ tall with equal spread. 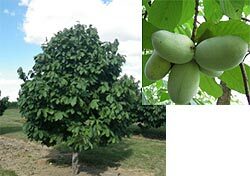 Low branching, slow to medium growth in well drained, loamy soil. Full sun. The nut is enclosed in a prickly involucre which splits at maturity. Nuts are edible and relished by humans and animals. 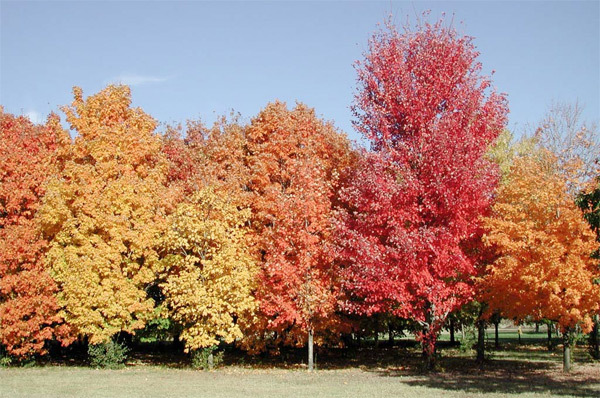 Paper Birch (Canoe) - Betula papyrifera:: 50' to 70' with equal spread. Well drained soils, acid, moist, sandy or silty loams. Full sun. Handsome tree for bark and fall color. Medium to fast growth rate. 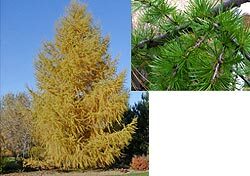 Dull green leaves of summer change to yellow in the fall. This is one of the trees that contribute to the magnificent fall color spectacle in our northern forests. 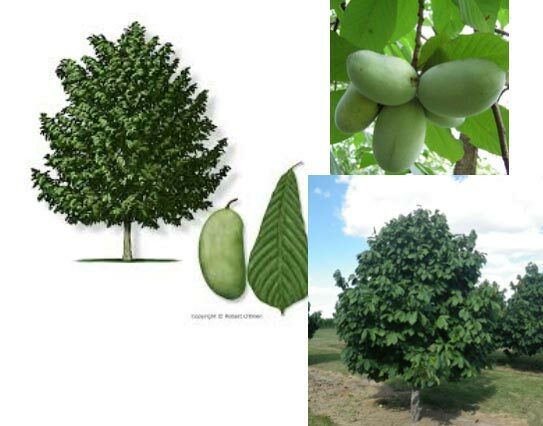 Wide variety of soils; does best on well drained, acid, moist, sandy or silty loams; full sun; not a particularly tough tree and should not be used in difficult, polluted areas. 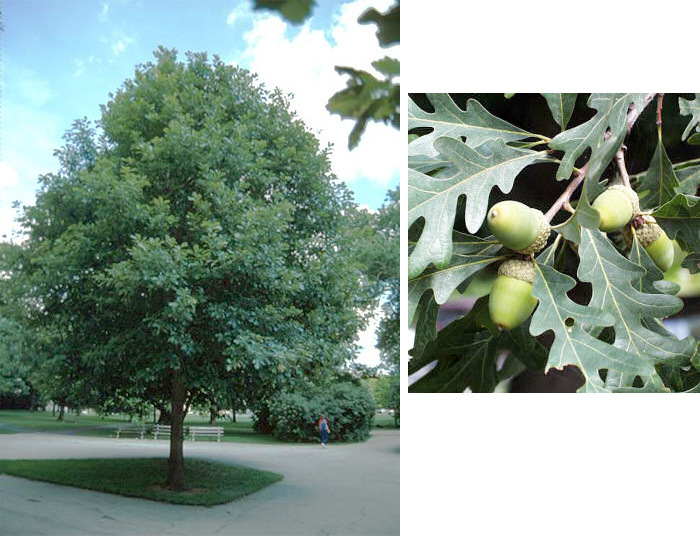 Pin Oak - Quercus palustris: Pyramid in shape, 60' to 70’ high with 25' to 40’ spread. Very distinctive growth habit. 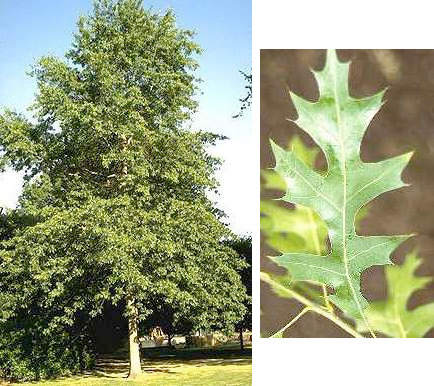 A faster growing oak. Will tolerate wet soils. Natural habitat is on wet clay flats where water may stand for several weeks. Full sun. 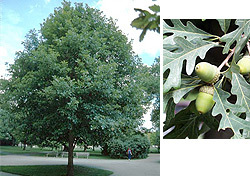 Widely used native oak for landscaping. 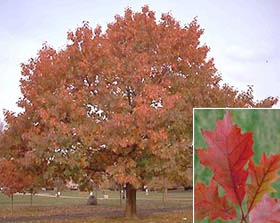 Red Oak - Quercus rubra: Fast growing, rounded tree 60 to 75' high, equal spread in fertile moist well drained acidic soil. Full sun, partial shade. Do not disturb ground around base, shallow roots are sensitive to changes in grade. 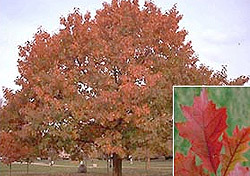 Sugar Maple - Acer saccharum: 60 to 75' in well-drained, moderately moist fertile soil. Slow growing, tolerates shade. 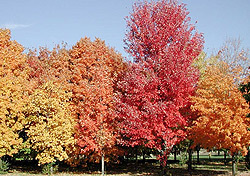 This shade trees dark foliage turns shades of red and yellow in fall. Root system is shallow & spreading. 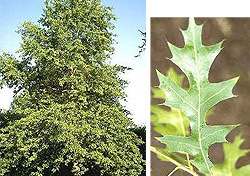 White Oak - Quercus alba: 60 to 80' tall, equal or greater spread. Slow to medium growth. Full sun, deep, moist, well drained soils. 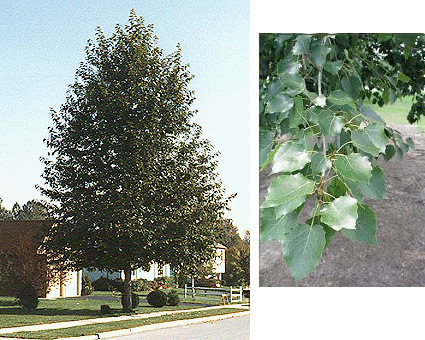 Uses as a shade tree for a large area.